A few days ago, someone posted an announcement on the facebook group for kpop/kdrama fans here in our city. A guy named Rechie was offering tutorial classes for those who are interested to learn basic Korean. I was able to chat with him not too long ago. Just like me, he is also self-studying Korean. I’m not sure but I assume that his speaking skills is better than mine since he goes to a school where Koreans spend a month or two to learn English as an exchange student and he is friends with some of them. So he actually has face-to-face encounter with Koreans while I only get to talk to Koreans through online chatting (Kakaotalk and Skype). Since it’s summer and he wanted to kill time, he decided to offer a crash course on basic Korean. Basically, by the end of the short course, the learners should be able to read and write in Korean and construct basic Korean sentences. I already know how to read and write Korean but I still went. I was curious since I haven’t studied Korean from a class or in a group before and at the same time, I need an excuse to go out and the idea of meeting new friends excited me. The friends who I have been talking to online for quite a while. It’s great to finally meet them in person and be able to talk to them personally and not just through chatting. Sadly, only a few people came. Some were already at the venue but they were to shy to approach us so they just left. Whut? O.o Others have summer classes or work so they couldn’t come. I was the oldest one in the group. Yeah, I’m older than Rechie by 4 years. ㅡ_ㅡ;; Everyone who came except me were complete beginners so he had to start from the very beginning. While he was teaching them 한글, I was busy eating my American burger and drinking my Mango Smoothie. Haha! Hey, I know what you’re thinking. I wasn’t useless. Haha! I helped him explain some things to them. Halfway through the session, he asked for my help to assist them since everyone had questions and he couldn’t handle everyone on his own. I gladly helped him out. Rechie and I aren’t fluent speakers of Korean. We are nowhere near at par with other advanced Korean learners out there. Our skills aren’t good enough yet and there are still a lot of things we need to know but I understand his purpose on offering a tutorial. There are a lot of people who are interested to learn Korean here but they don’t know where to start and there’s no Korean language school here. Through this classes, we get to share things that we already know and at the same time, we become more motivated to learn so we could teach them new things as well. It’s like we’re growing and learning altogether. They learn, we learn, everyone’s happy. It’s a win-win situation. I just hope that every single one of them will continue to come to class and not give up halfway. The first step is always the hardest and keeping yourself motivation is quite a challenge that’s not easy to overcome. 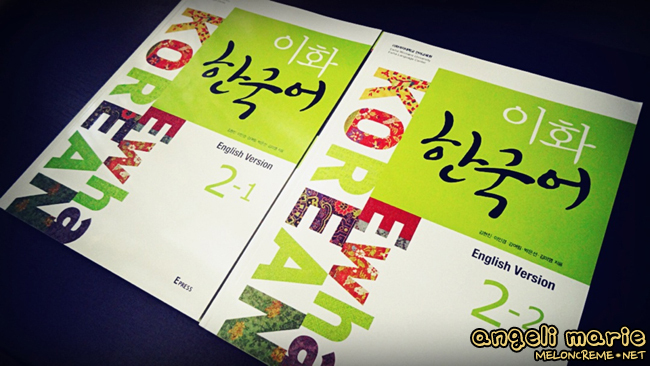 I really hope that by the end of this course, they would to continue to study Korean even without a tutor. 뭐라고? 군대 갈 필요가 없다고? 이유는? I just learned something new today. I met a Korean high school student and I asked him if he had been to the army already. Stupid question, I know. I forgot he was still in high school and he’s not yet supposed to go to army until after he graduates high school. He said not yet and that he doesn’t need to go. I can’t help but be curious since I was told that every Korean men has to go to army. No exceptions. So I asked him again. Why? He said because he’s a 여호와의 증인 (Jehovah’s Witness). I was baffled as to why he doesn’t have to go to the army just because he was a 여호와의 증인 so I asked him and I was quite surprised to find out why and what consequences they have to face for not going to army. I also looked up Naver regarding this just to be sure. Seems legit. Sorry, it’s April Fool’s Day. I just had to check if he’s telling the truth. Haha! After waiting for more than three months, my Level 3 TTMIK book has finally arrived. I wanted a signed copy of the book so I ordered the Level 3 book, together with a copy of Level 1 and Level 2 books for my friend, on December 14th, a day before the preorder for Level 3 book ended. I expected that my friend’s books will be shipped first since the Level 3 book hadn’t been published yet. And since it was Christmas and things get a little crazy over at the post office, I expected that the books will arrive at a later time. I went out of town on the first week of January and when I got home, I was surprised to see that a package was waiting for me. It was the Level 1 and Level 2 books which I ordered for my friend. Her books got here in approximately two weeks so I had expected that my book will arrive by the end of January or early February. January passed and February came, still no book. I kinda got worried that my book got lost in transit so I sent a message on TTMIK’s Facebook fanpage. Kyunghwa unnie told me that they shipped the book on January 10th and she also told me to wait and so I did. I drop by the post office every week to pick up packages and whenever I was there, I always asked them if there’s a package in a yellow envelope with my name on it. But there was none. They told me they’ll send me a notice slip when it arrives. So I decided to give it a few more weeks. March came and still no sign of the book. I was having a battle with myself whether or not I should send another message to TTMIK regarding my book since it’s been 3 months already. But I didn’t. I was like “Ugh. Whatever. Forget about it.” LOL! And I actually forgot about it until a few days ago. On March 15th, I got a notice slip from the post office. The notice slip was issued on February 18th and a note on the back said I should pick it up within 30 days or they will send it back or get rid of it. I figured it was the TTMIK book since I wasn’t waiting for any other packages. I went to the post office to pick it up. Looking at the stamps on the envelope, I found out that my book arrived on the 16th of January. WTF. I got sort of annoyed that they told me the book wasn’t there yet whenever I asked them about it when in fact, it was already there. Anyway, enough with the rant. As soon as I got in the car, I ripped the envelope open and browsed the book during the trip to my mom’s hometown. I’m glad they used a smaller font size and lighter color for the romanization, making it look less noticeable. I’m really not a big fan of romanizations and I’m hoping I won’t see any more of it on Level 4. One should learn hangeul and pronunciation rules and stop relying on romanization. Yes, I know it’s hard but with practice, you’ll get used to it soon enough. I really liked the book except for the romanization and perhaps… the exercises. It’s kinda dull and *yawns* boring. But I usually skip the exercises and just move on to the next lesson. Haha! Anyway, I don’t have much to say about this book right now since I only scanned through the pages. I’ll write a proper review soon. I’ll have to use it first so I can see where it lacks. The book costs 13,000won (approx. $14) plus shipping fee. It comes with an audio CD. You can also download the audio tracks from their site in case you encounter problems ripping the audios to your computer. 오늘은 한국어 공부를 하고 싶지 않은 날이에요. 공부 대신 방을 청소하기로 했어요. 너무 심심해서 그랬어요. 청소하다가 옷장에서 어떤 박스를 찾았어요. 박스 안에는 고등학교 마지막 해에 반 친구들한테서 받은 편지들이 있어요. 편지를 한장씩 다시 읽었어요. 읽으면서 슬퍼졌어요. 고등학교 반 친구들을 다시 보고 싶어졌어요. 그때로 돌아갈 수 있으면 좋겠어요. 보고싶은 친구들을 다시 만나고 싶어요. 그때 좋아했던 남자를 다시 만나고 싶어요. 그 남자는 지금 베이징에서 유학을 하고있어요. 여자 친구가 있는지 없는지는 잘 모르겠어요. 그는 통통하지만 착한 남자예요. 그래서 좋아했어요. 청소를 계속 해서 5년 묵은 다이어리를 찾았어요. 대학교 2학년 때 Values Class를 위해서 일기를 매일 썼어요. 그 남자에 대한 일기를 많이 썼어요. 대학교 때 같은 학교에 다녔어요. 1년 지나고 제가 다른 학교로 전학을 갔어요. 그때부터 그 남자를 다시 못 봤어요. 안녕하세요 여러분! 오랜만이죠? 다시 만나서 정말 반가워요. 오늘은 2월 1일이에요. 그저께 엄마가 마닐라에 다녀왔어요. 비행기가 늦게 도착해서 공항에서 오래 기다렸어요. 엄마는 마닐라에 언니랑 오빠를 만나러 갔었고 며칠 동안 그곳에서 머물렀었어요. 엄마가 마닐라로 떠나던 날, 되게 슬펐어요. 저도 엄마랑 같이 마닐라에 가고 싶었어요. 저도 언니랑 오빠가 너무 보고싶었어요. 가고 싶었지만 비행기를 못 타서 못 갔어요. 4년 전에 비행기에서 죽을 뻔했었어요. 그래서 그 트라우마 때문에 아직도 비행기를 타지 못해요. 너무 무서워하거든요. 너무 무섭지만 TOPIK 시험을 보려고 해서 4월에 비행기를 타야 해요.